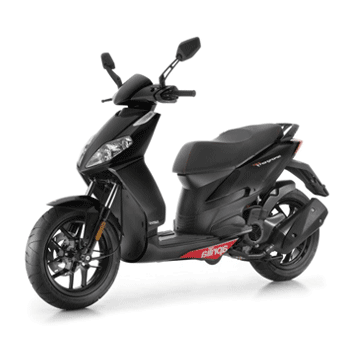 The Aprilia Sportcity 50 is agile, practical and comfortable as you run through the streets. It has a four stroke engine is forced air cooled and has a carburetor fuel system. It is lightweight and the sporty engine means that is quick to accelerate from a stop. 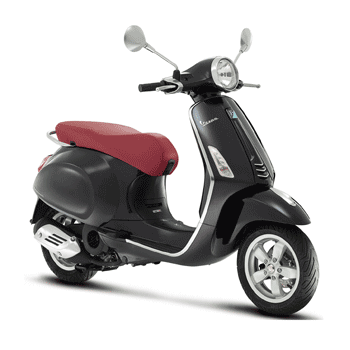 The Sportcity is perfect for running through the city and taking a ride through town. Django is a scooter that seems to want to re-write history more than half a century later: a history of style. Standing firmly on its 12" wheels, Django seems to project itself like a flagship with its rounded rear wings with slashes for the three air intakes, its extended body, its retro dashboard, inviting upholstery, flat foot-board and numerous storage compartments. The distinguishing feature of the new Primavera is the new body, with a host of new features: more space between the handlebar and the saddle, lower saddle height, and increased wheelbase and length to enhance stability. The steel sheet bodywork that also acts as a support is the element that makes the Vespa stand out from every other scooter." VESPA GTS Super 125 i.E. 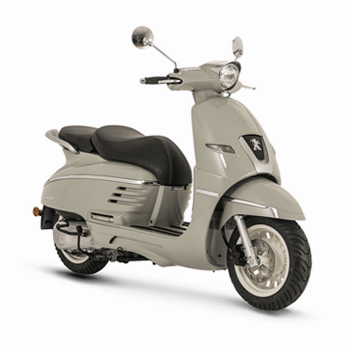 The Vespa GTS 125 is instantly recognisable: its chrome mudguard trim and position light placed midway down the front shield are an evocative reminder of 1950s Vespas. 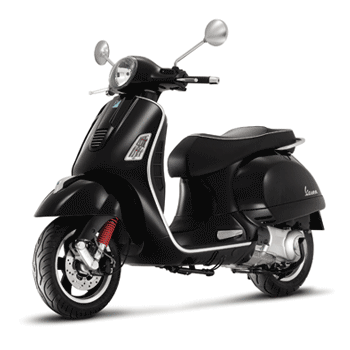 The sculpted cowls, bulbous round headlamp and folding aluminium pillion foot pegs are all features that emphasise the unique styling of the Vespa GTS 125. 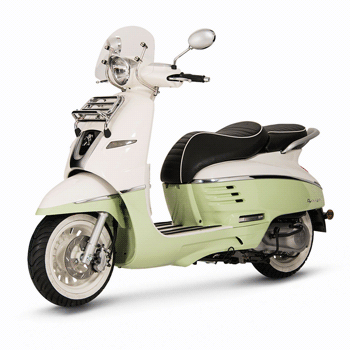 Vespa GTS 300 Super Sport is the most powerful Vespa ever made. 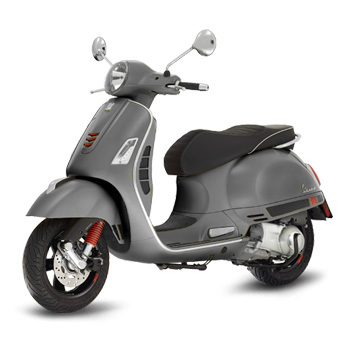 With an ultra-modern, powerful 4-valve liquid-cooled engine, electronic injection, what sets the Vespa GTS 300 Super Sport apart is the incredible flexibility and exuberance of the engine.